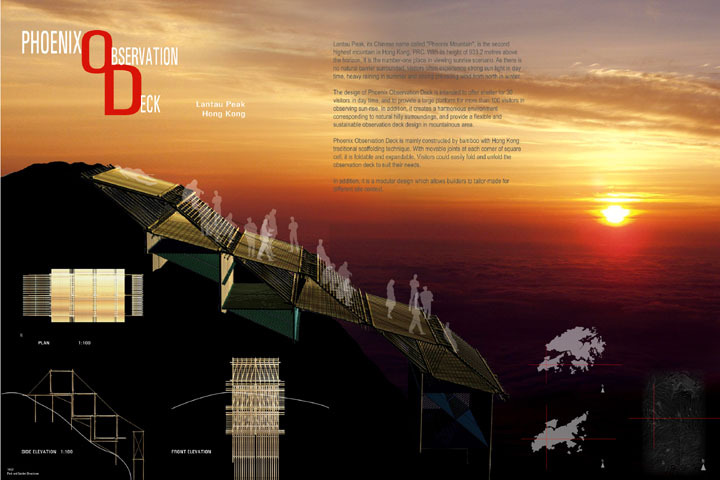 Lantau Peak (Phoenix Mountain) is the highest peak in Hong Kong and this Observation Deck design provides a place for visitors to enjoy the beautiful surrounding views. 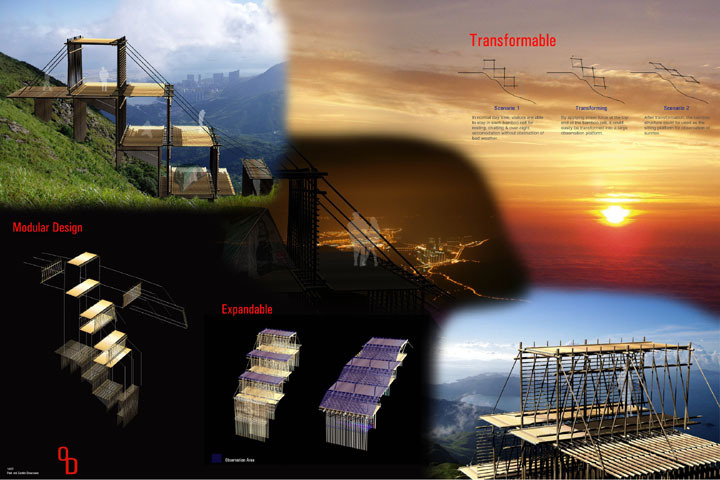 Its constructed using the Hong Kong traditional scaffolding technique. There are movable joints at the corner of each square cell so visitors can fold and unfold the deck to their liking.